Jordan Lewis Missions (JLM) was established to honor the life and legacy of Jordan A. Lewis, a graduate of Oral Roberts University, who fought a valiant battle against cancer and joined his Creator at the age of 23. Jordan’s unflinching, unyielding faith in Christ was apparent to all whom he came in contact with. 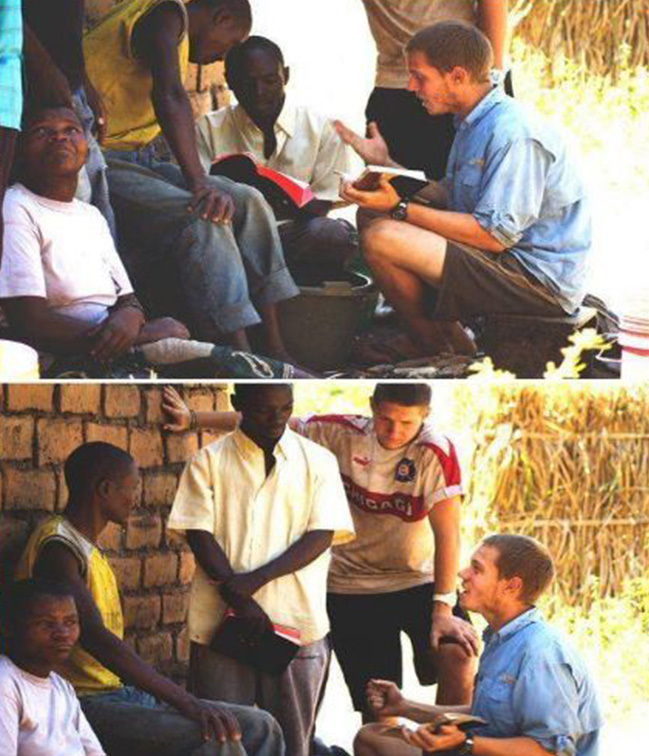 He served the Lord pure heartedly, modeling Christ in all that he did. As a college student, Jordan was part of the “Man Team,” a small team of young men who lived among a previously unreached tribe in Tanzania. Jordan was the first to volunteer to share the Gospel with the tribe. Emmanuel, a tribe member, received Christ that day. Jordan was the first to ever share the Gospel with him as well as give him the meaning of his name. Several others followed to receive Christ and a church was formed. A birthing clinic, built by the Man Team that same year, now doubles as a church on the weekends. The Man Team leader the year Jordan went said, “Jordan was the first person to plant a seed…the forerunner, the person who broke ground.” It is the JLM team’s wish to send more forerunners, to break ground all over the world. JLM supports teams focused on reaching those who have yet to hear about Jesus. Several works are already in progress. They span the globe and include China, Tanzania, South Asia, India, Muslim communities and the Bukharan Jewish community in Queens. JLM is facilitated by King’s Park International Church in Durham, NC, Jordan’s home church for most of his life until moving to Tulsa, Oklahoma. Donations are tax deductible. Ron Lewis is the founding pastor and overseer (affectionately called "Bishop") of King’s Park International Church. He has been in Christian ministry for more than 30 years, planting churches, pastoring and raising up a generation of young people to further God’s kingdom in the earth. Upon graduating from the University of North Carolina at Chapel Hill, Ron helped establish a campus ministry that eventually grew into King’s Park International Church, touching the universities and communities of Raleigh, Durham and Chapel Hill. In the years since, he has helped plant more than 30 churches in America and around the world, which in turn have established more than 100 churches in 16 nations. With the help of Every Nation Ministries, Ron co-founded a dynamic, growing church in New York City (Every Nation NYC) in response to the tragedy of 9/11. The church has been reaching the greater metropolitan area of New York City ever since, and Ron serves as senior minister there. Other ministries he founded include Campus Harvest, the Youth Life Foundation of the Triangle and Serving Christians International. Ron received theological training through Reformed Theological Seminary, has authored two books (Answering the Call and Standing on the Word) and wrote the final chapter on “reconciliation" for the late Bill Bright's final book, Living The Second Mile Life. Ron is married to speaker/author Lynette Lewis and has three sons, all happily married, and one son with Jesus in heaven. JordanLewisMissions.org was established in honor of his late son Jordan and has been very fruitful in helping Unreached People Groups (UPG's) hear about the Lord Jesus. Ron and Lynette also have young twin daughters, and share their time between Raleigh/Durham and New York City. For more information on Ron Lewis and his ministries, visit www.ronlewisministries.com.